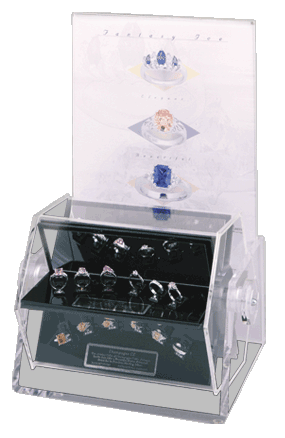 This unique display features a removable graphic panel that calls attention to the product. It is quite different from other displays in that it doesn’t require a turning radius. The barrel turns within the unit itself. This feature makes the display much more appealing when countertop space is limited. The fixture is only 11” wide and 8” deep. The graphic panel stands 16” tall.